You need a proven online marketing training for your business to have competitive edge in your industry. With the present down trodden economy it’s more important than ever to learn new skills to improve your standard of living. The increasing cost of living, with no job opportunities in the country has made life unpleasant for many people. The chances of getting a job after graduation are becoming bleaker. Most businesses are collapsing because of cut throat competition in their industry. It’s becoming more difficult to get people spends their hard earned money on your product or service, because of their low earning income. For your business to do well you are not only expected to deliver quality product and services, you must device effective marketing strategy to reach potential clients and convince them you are the best in your industry. The skill can only come by acquiring proven internet marketing training. According to Bill Gates, in few years from now, all businesses will be on the internet. 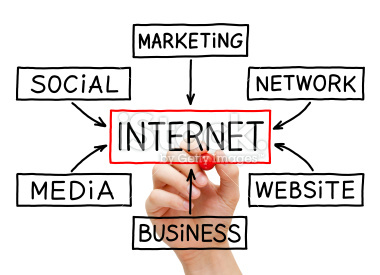 If your business is not on the internet, you will be out of business. In term of job opportunities, it’s becoming obvious to most Nigerians that you cannot depend on either the government or your rich relatives to gain financial freedom. The solution is acquiring skill that has been proven to work in the 21st century to get out of the economy challenges. I am not talking of going for more theory certification after your graduation, what I am advocating is practical skill that will help you be self employed. In the words of Benjamin Franklin, people are paid not for what they know, but what they do with what they know. There are many ways to achieve the aforementioned, but I will stick to my field of specialization, which is offering online marketing training to build a successful business. If you are searching for ways to make money or build a business on the internet, there are many online educators that are promising get rich quick scheme on the internet and deceiving people that they can make millions in few days. These are scams! There is no such thing as instant wealth in any business, even the internet. You must roll up your sleeve and be ready to learn and work to be successful online. The good news is that there are tools and online marketing training to help you work smart and reduce the learning curves. If you truly have the desire to acquire knowledge to build a successful business online, I whole heartedly recommend SiteSell Education. There online marketing training saved my business. That same training is available to you. They have an unusual track record of helping thousands of ordinary people build successful businesses online. I have been privilege to go through their training and certified to teach the course in Nigeria. There training is globally accepted by reputable organization. For instance, SiteSell Education's course "Building a Successful Real Estate Business Using the Internet" is approved as a Training Program by the Registrar, REBBA 2002. An increasing number of educational institutions are partnering with SiteSell Education to offer this comprehensive online training course. There are many accredited learning institutions around the globe (ex., U.S., Canada, U.K., Netherlands, Australia, and Africa) are adding SiteSell online training to their curriculums. In 10 weekly three-hour online marketing training, you can acquire the skill to build an internet business. After graduation, you create a potential website based on what you know or passionate about or on your present business. You graduate building an online business that can sustain and give you financial freedom. The feedback of the educational institutions offering the course confirms the relevancy of the training to Nigeria present economy. 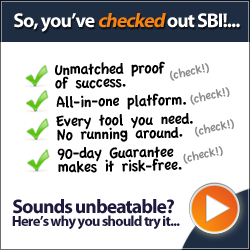 "...the easiest, most comprehensive way I know to create and manage an on-line business." "... is and will continue to have a long term impact upon the educational process at The Citadel and as far as we can tell now, around the globe." - TAFE SA, which is the largest provider of vocational education and training in South Australia. You can reach me for more information on attending SiteSell Education Course in Nigeria.